Annnnd we're back for round two! 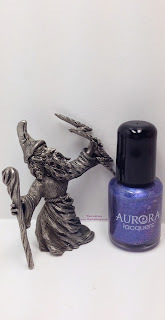 If you missed my post yesterday just feel free to click here. 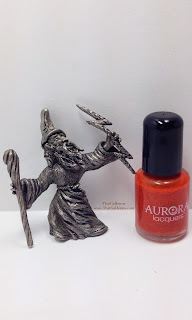 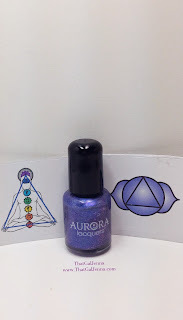 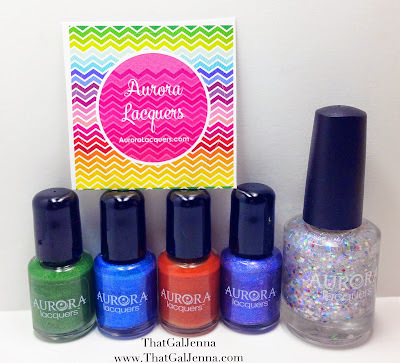 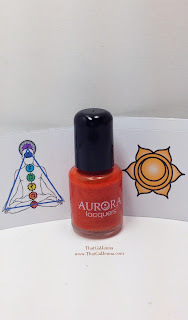 Today I have two more polishes from the new Chakra Prism Collection from Aurora Lacquers! 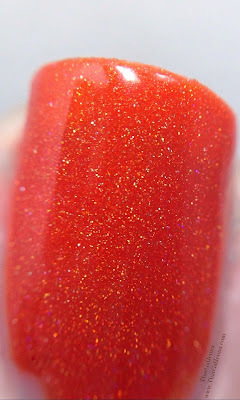 Tomorrow will be the wrap up of the pretties that features a crazy beautiful glitter topper. 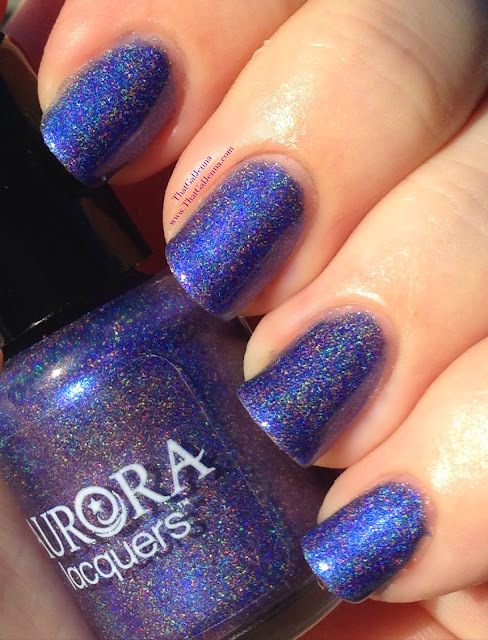 I wanted to let that baby shine all on it's own so I could show it over varying polishes so you could get an idea of how it really looks. 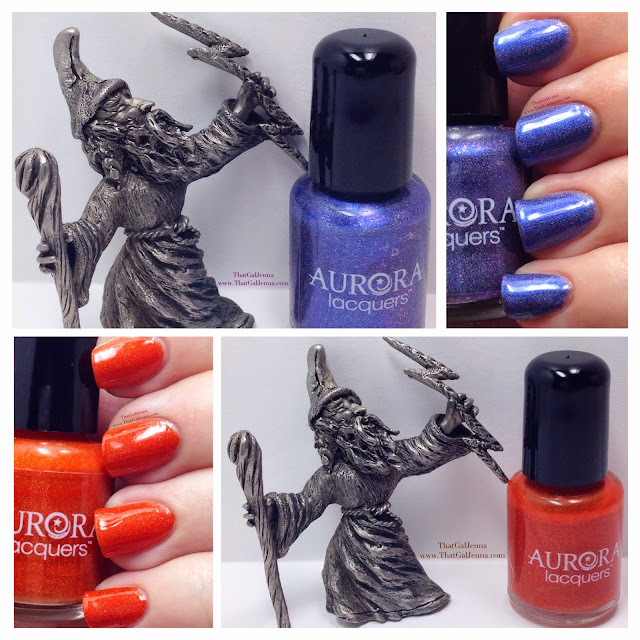 The polishes I have for you today are Anja Vision and Swadhisthana Desire. 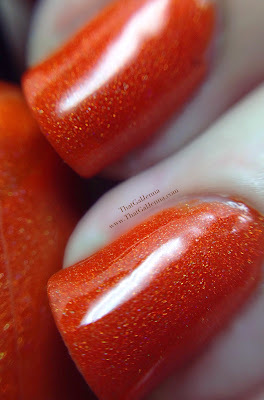 Anja Vision- 3 thin coats but 2 regular coats would suffice. 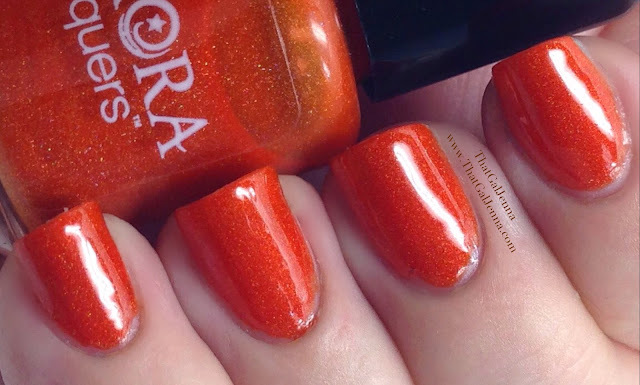 Beautiful application without any issues. 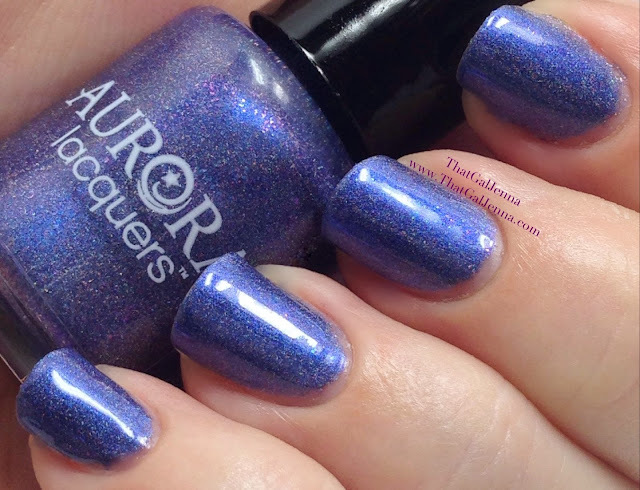 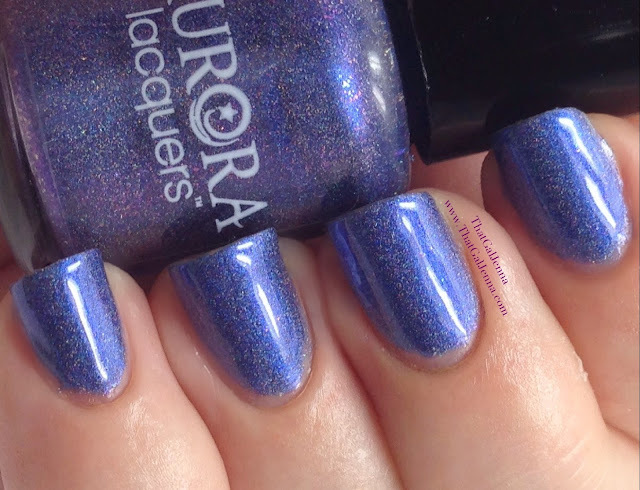 Anja Vision - Oh this indigo polish is so dreamy! 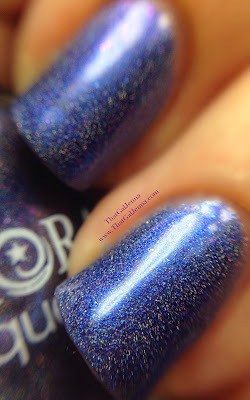 That purple/blue shift is glorious! 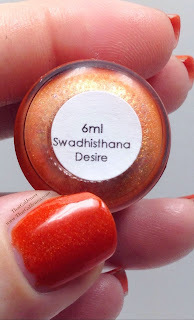 Swadhisthana Desire - I love a good orange polish. 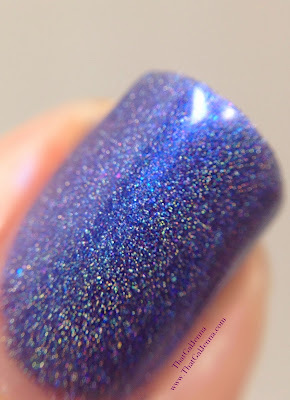 I used to despise the color and now I can't get enough of it. 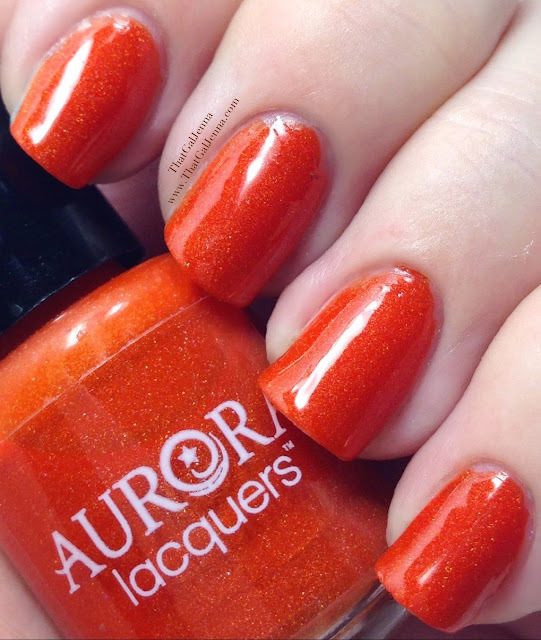 This is such a rich and squishy orange. 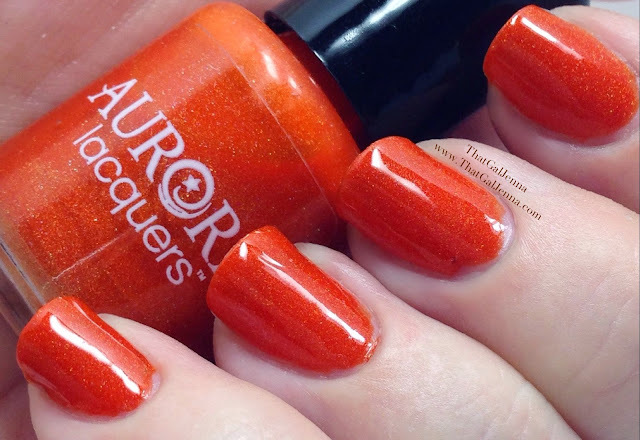 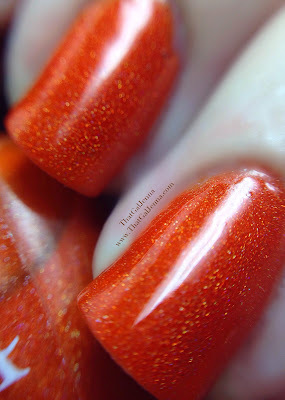 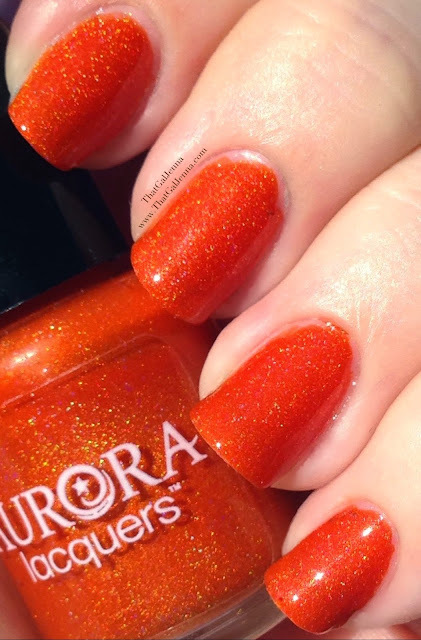 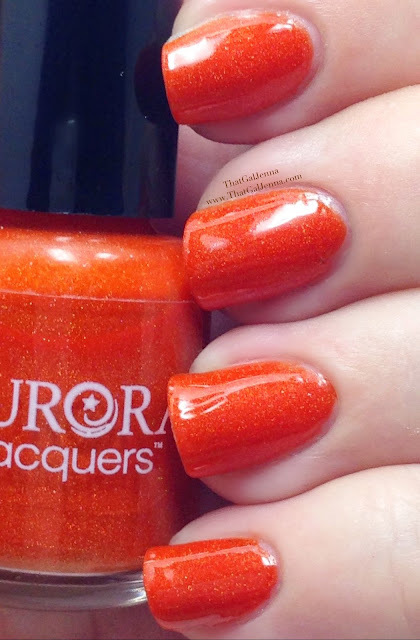 The little shimmer of holo really rounds this baby out into a beautiful orange!